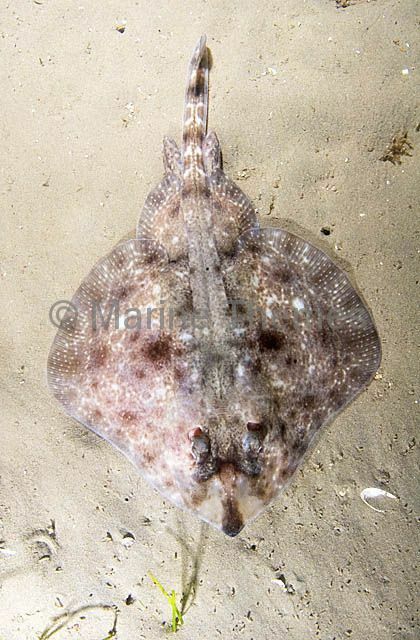 Thornback Skate (Raja lemprieri) showing dark false eye spots or ocelli on the back to intimidate predators approaching from above. 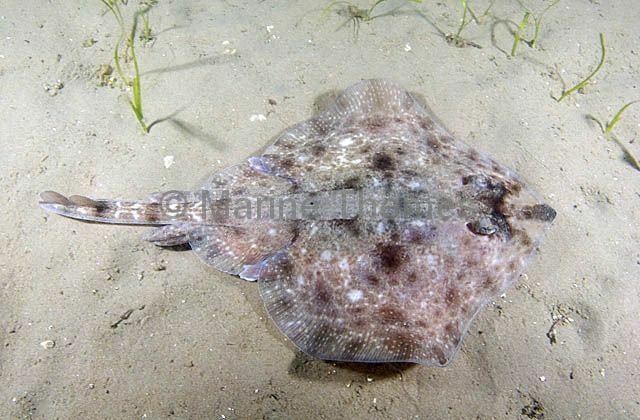 Thornback Skate (Raja lemprieri) swimming over weed bed. 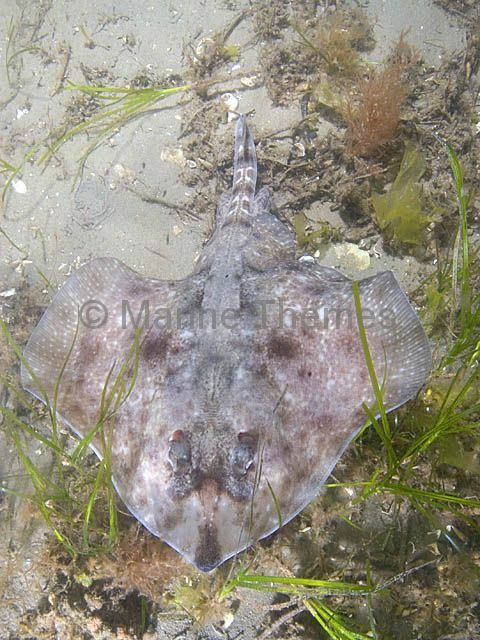 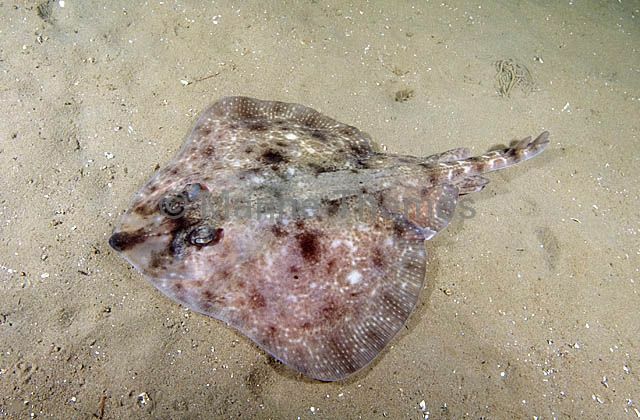 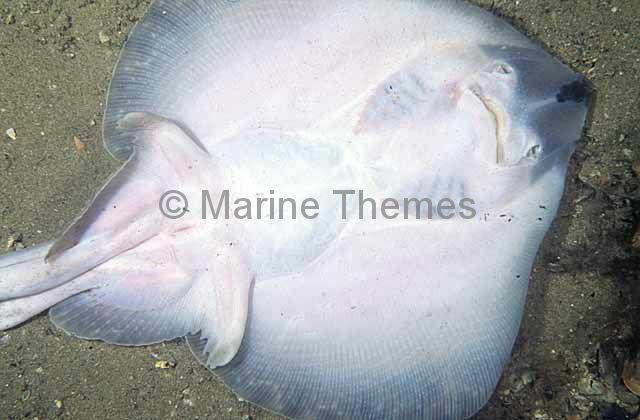 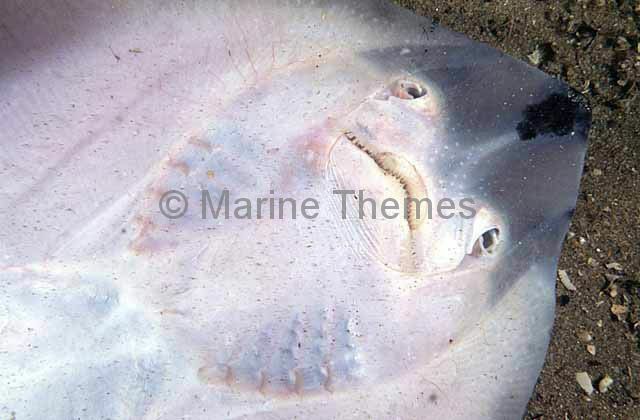 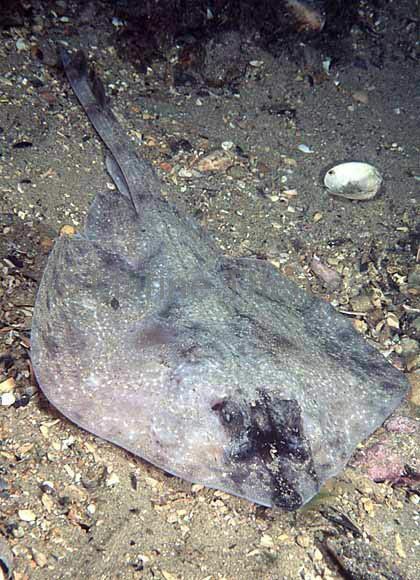 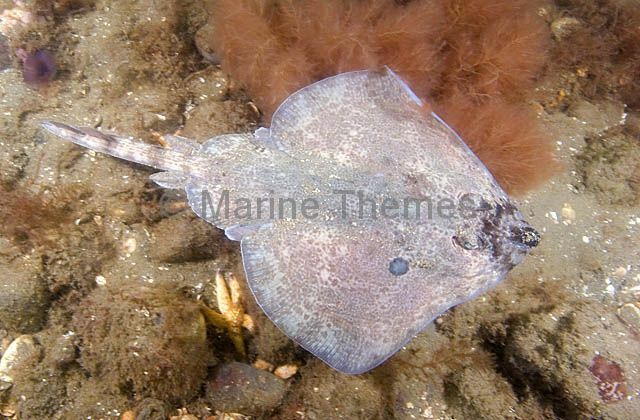 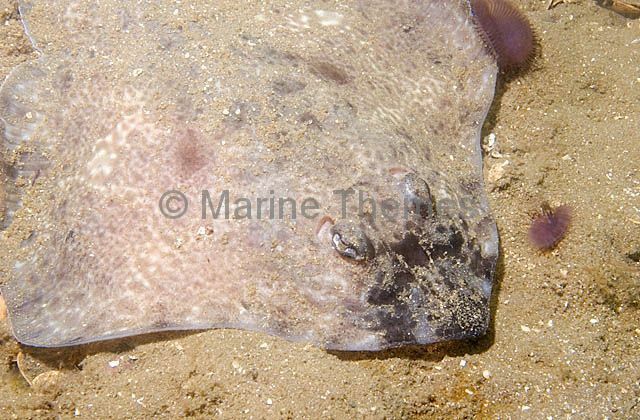 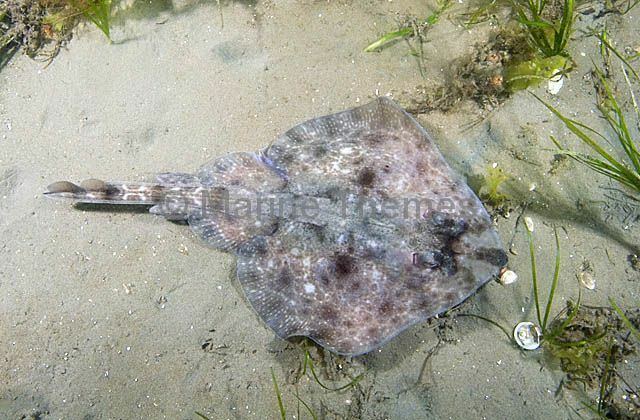 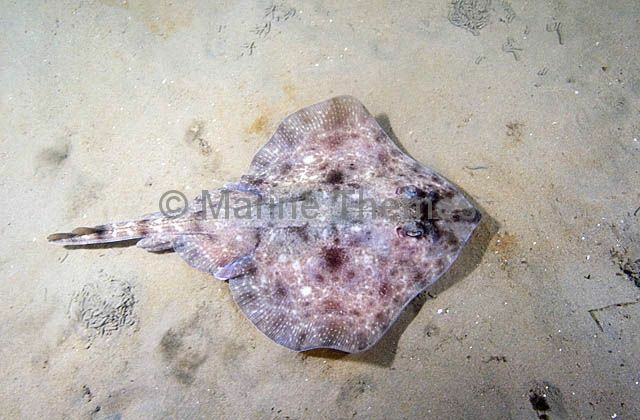 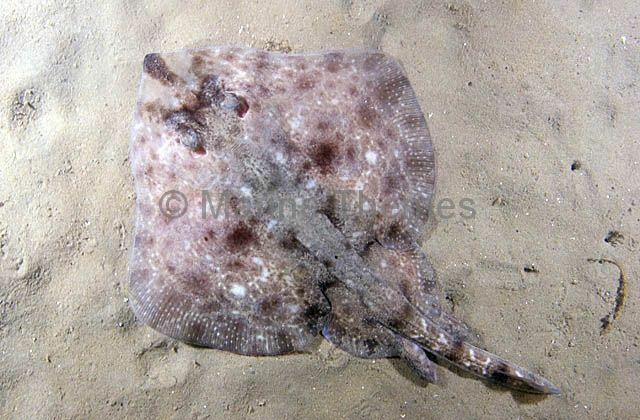 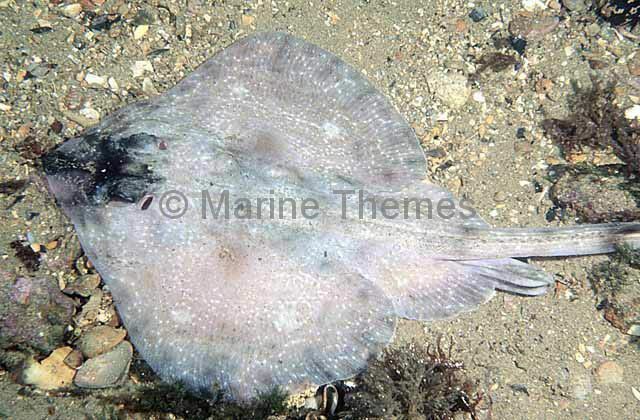 Thornback Skate (Raja lemprieri) resting on sandy sea bed. 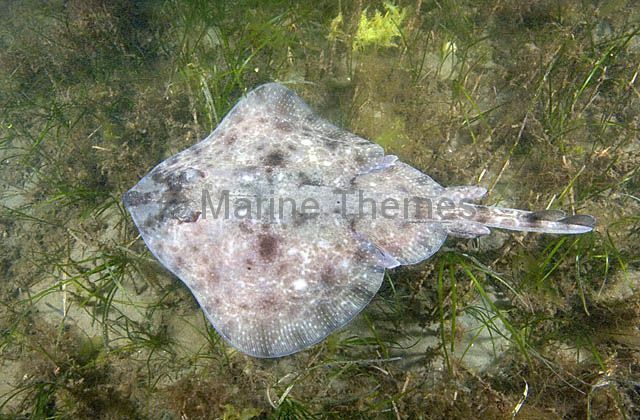 Thornback Skate (Raja lemprieri) resting on weedy sea bed among algae. 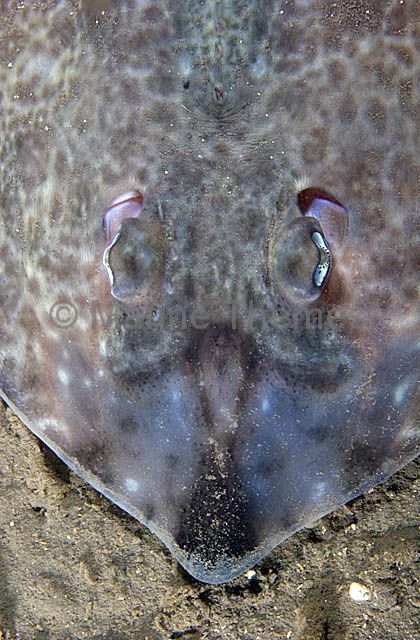 Thornback Skate (Raja lemprieri) Detail of head and snout showing distinctive snout markings. 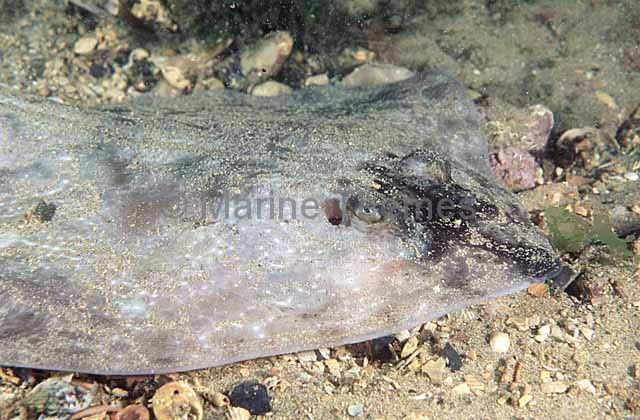 Thornback Skate (Raja lemprieri) Detail of distinctive dark snout.